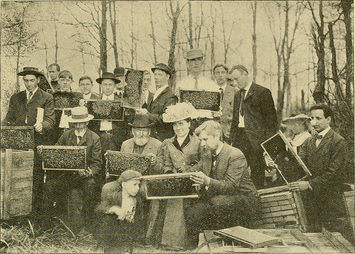 During the summer months we have regular meetings at apiaries for both new and experienced members. These offer practical hands-on opportunities to learn and to share your knowledge. These may be at one of our Association apiaries (Taylor Hill or Farnley Tyas) or may be at a member's site. During the winter season we organise a programme of meetings and events for members, which aims to cover a wide range of topics relevant to bee keeping and bee conservation. Suggestions for meetings and events are always welcome, so get in touch if you'd like to help or have any ideas for topics. Small prizes for the raffle are also always appreciated. 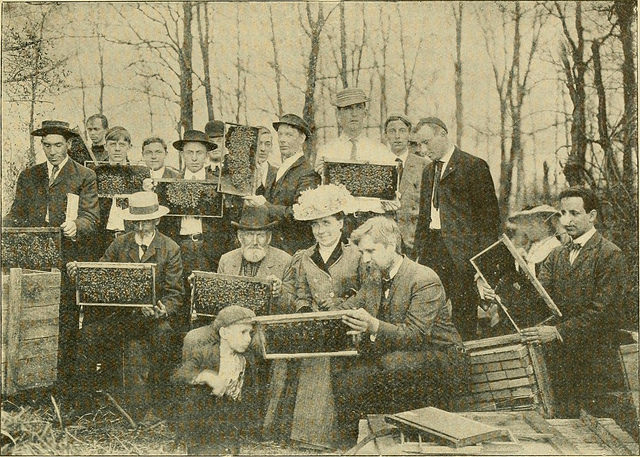 Apiary meetings have been popular for a long time!